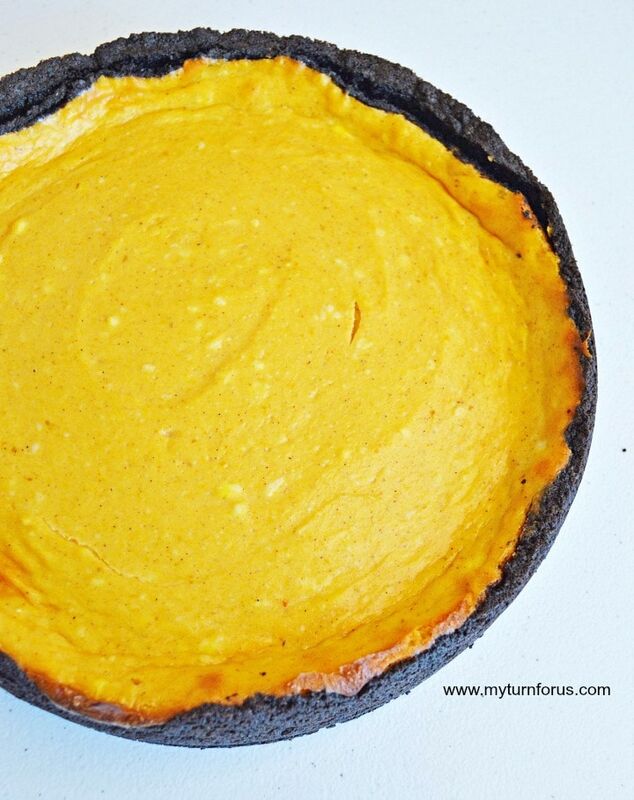 Make this Delicious Pumpkin Cheesecake with an oreo crust. 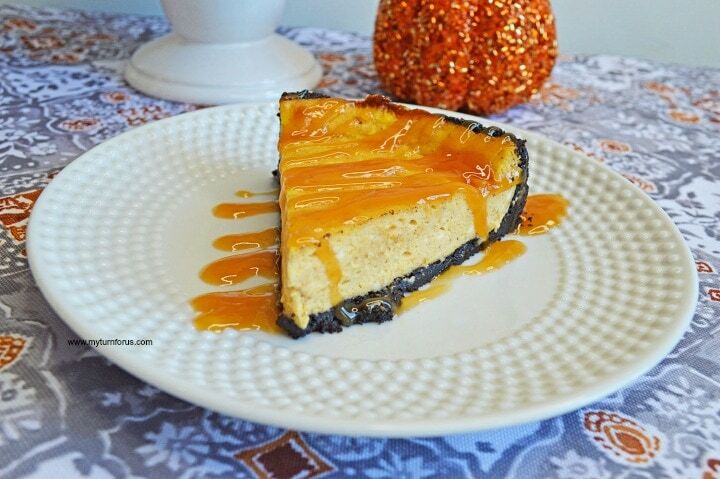 It’s the Best Pumpkin Cheesecake with this made from scratch recipe. 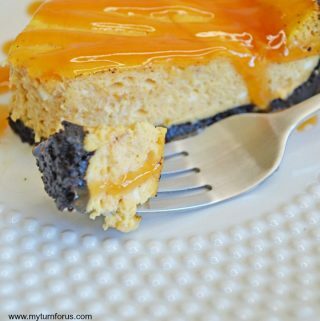 We brought our pumpkin cheesecake to a higher level with this pumpkin cheesecake with oreo crust recipe. And then we blew it out of the park by serving it with a caramel topping. 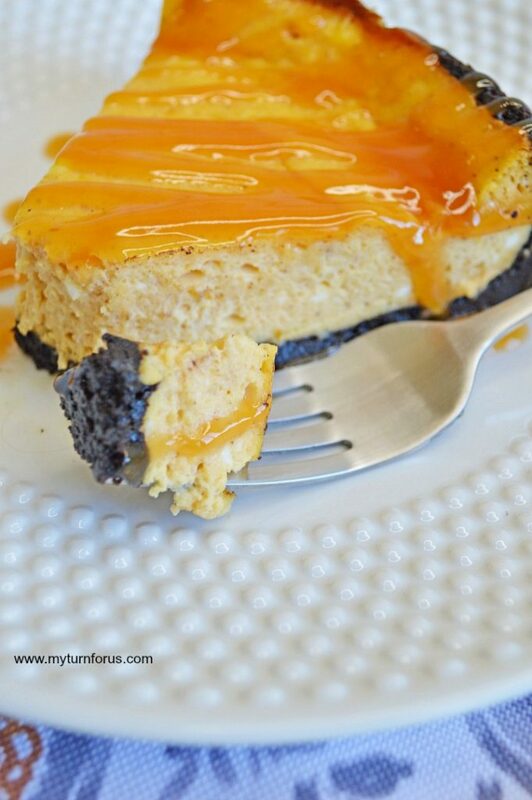 It’s an easy cream cheese based cheesecake recipe with the addition of pumpkin puree. A springform pan makes serving it easier and it’s usually less than $20 here on Amazon. And we cut a few corners by using a store-bought caramel sauce. We do have a homemade caramel sauce recipe if you have a little extra time. You can find it right here on our Easy Apple Cinnamon Roll Recipe. And doesn’t this bite of our pumpkin cheesecake with oreo crust make you drool? Yeah, us too! 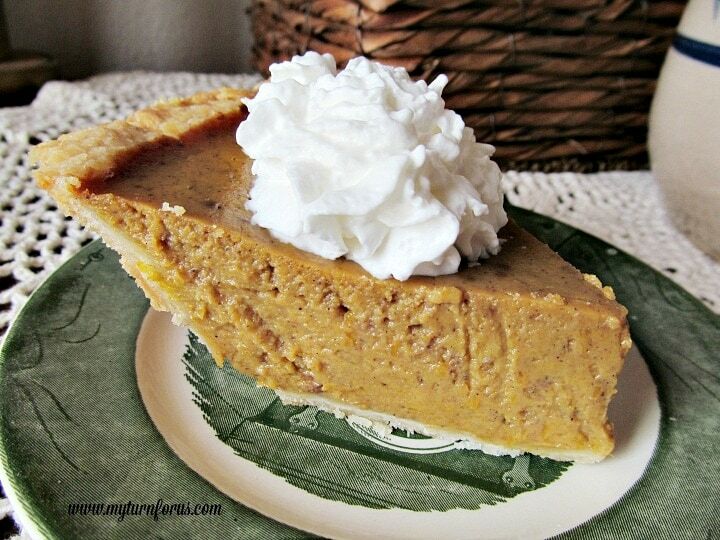 This Pumpkin Cheesecake needs to be made the day before serving. It needs to have time to cool and set up. It’s also easier if you use a food processor to make crumbs from the Oreos. I guess you could crumble them by placing them in a ziplock bag and using a rolling pin or a kitchen mallet but I have never done it that way. Let us know if you try it and it works but food processors are reasonably priced and are used often here on the Ranch. 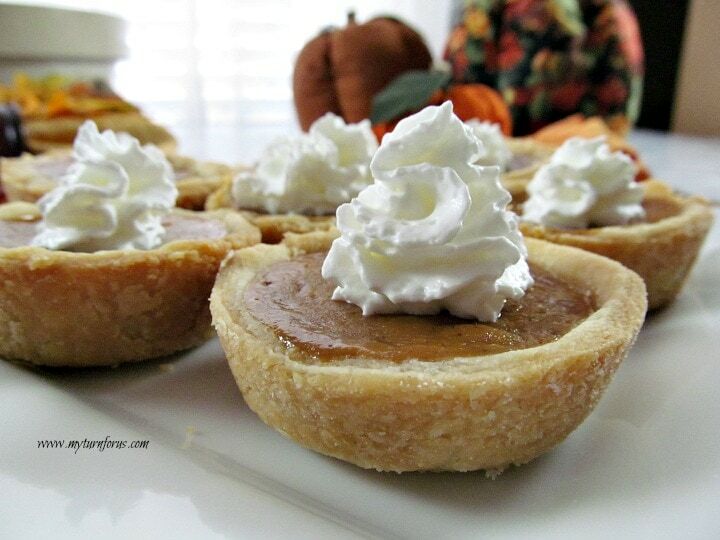 This is an amazing dessert and a great way to celebrate Fall. It would also be great to be served for Thanksgiving Dinner. 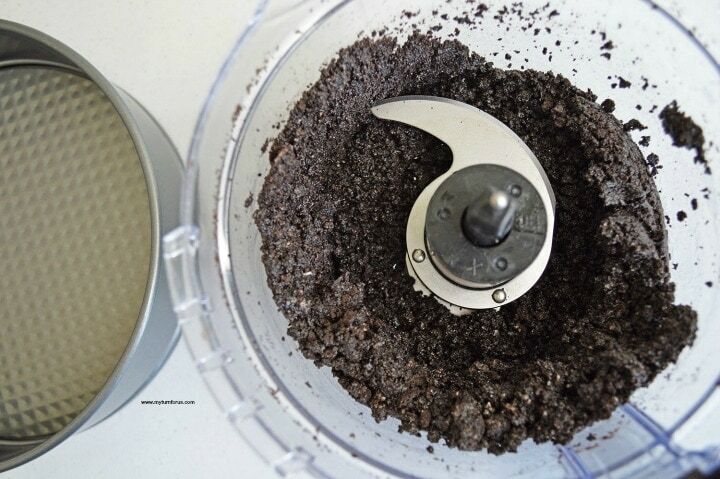 In your food processor, reduce Oreos to fine crumbs. Add in 6 tbsp melted butter, pulse until combined. Spray your springform pan lightly with non-stick cooking spray. Pour crushed oreo mixture into the springform pan and press down to form a crust. In a large bowl, mix cream cheese and sugar until light and fluffy. Add pumpkin, vanilla, pumpkin pie spice, and eggs. 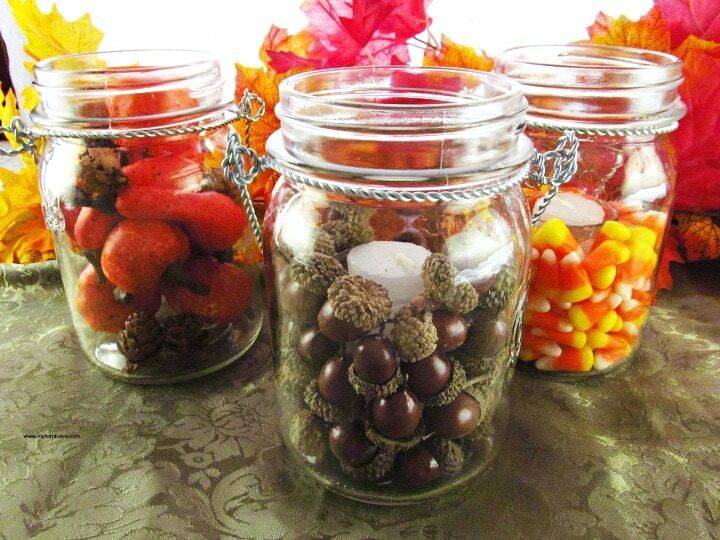 Mix until ingredients are combined. Pour cheesecake mixture over Oreo crust and spread evenly. Bake at 350 degrees for 40-45 minutes. 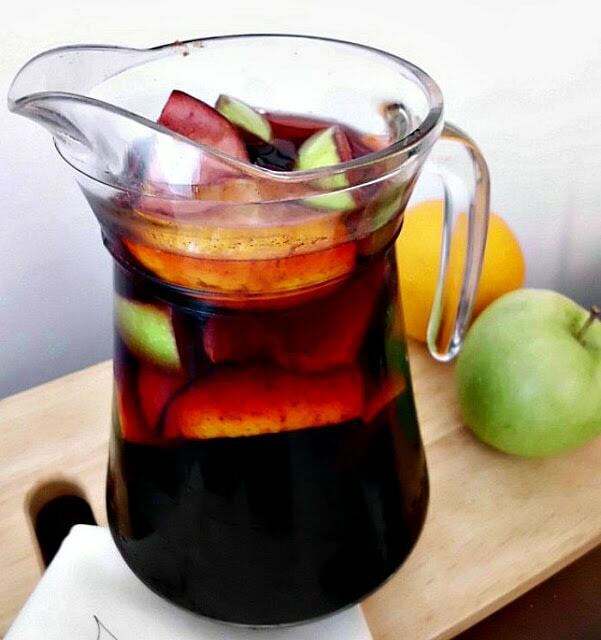 Once cooked, cool to room temperature and refrigerate for at least 3 hours, or overnight. When serving, drizzle with caramel sauce.